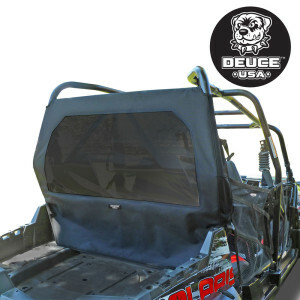 1680 Ballistic Nylon fabric with black Awntex rear screen. 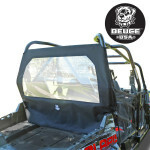 Works with Deuce USA Polaris RZR 4 Bimini 1680 Ballistic Nylon Soft Top sold separately. 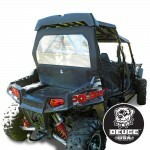 (2014-2010) Polaris RZR-4 UTV Models.